Just wanted to shoot you all a little note! 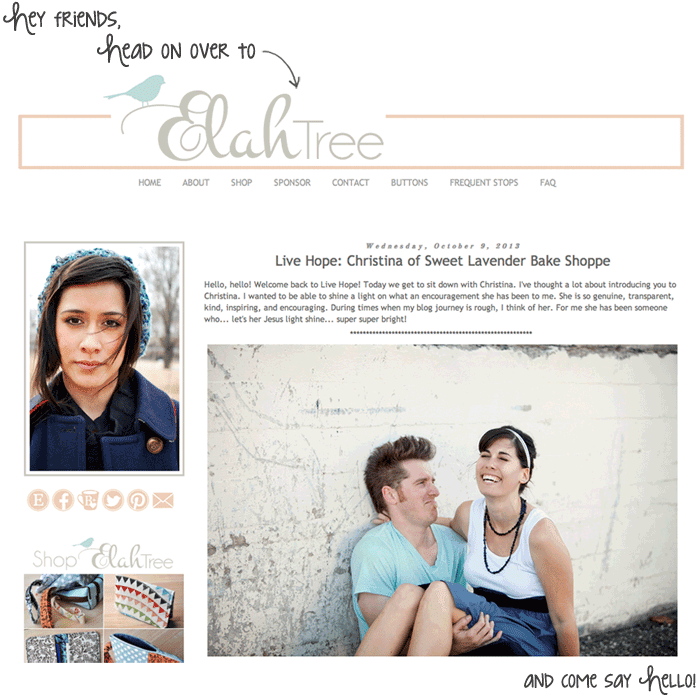 Samantha over at Elah Tree interviewed me on the topic of Faith + Blogging a few weeks ago :) and it went live today! Since we both have this particular topic heavy on our hearts, Samantha thought it would be a great idea if we virtually sat down and over the course of a few days discussed this very idea so that we could be of some sort of encouragement to you all! New follower here and i love your blog so much, i've spent like an hour on it when i should have been studying ;) haha Great interview, it's so nice to see other people with great faith! !